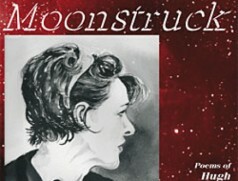 Dumfriesshire musician Nicola Black has released a CD of Scots language songs called Moonstruck. Setting Hugh McDiarmid poetry to her own compositions, she has used a variety of styles to bring the words alive. Working with a range of intrumentalists or singing a cappella Nicola has used some of the best loved poetry of the Scots language including Scunner, The Bubblyjock, The Eemis Stane. Details of how to purchase the CD are on Nicola's website. Clips of some of the songs from the CD can be heard on her Myspace page.